The project provides somatic rituals to solve the problems of creative makers, offering specific somatic instructions for how to deal with breaks in (or lack of) creativity. Rituals available as a live, interactive performance and as limited-edition chapbooks, and broaden an understanding of creative “results,” “ends and means,” and the idea of a muse/magic as relates to creative labour. The initiators identify “problems” be issues not only facing artists but be any issue that “money cannot solve" and they offer capitalist-adjacent rituals to examine indirect and non-monetary solutions to stuck places. They offer these on an individual case-by-case basis, published in artist booklets, and in the form of dinner parties. 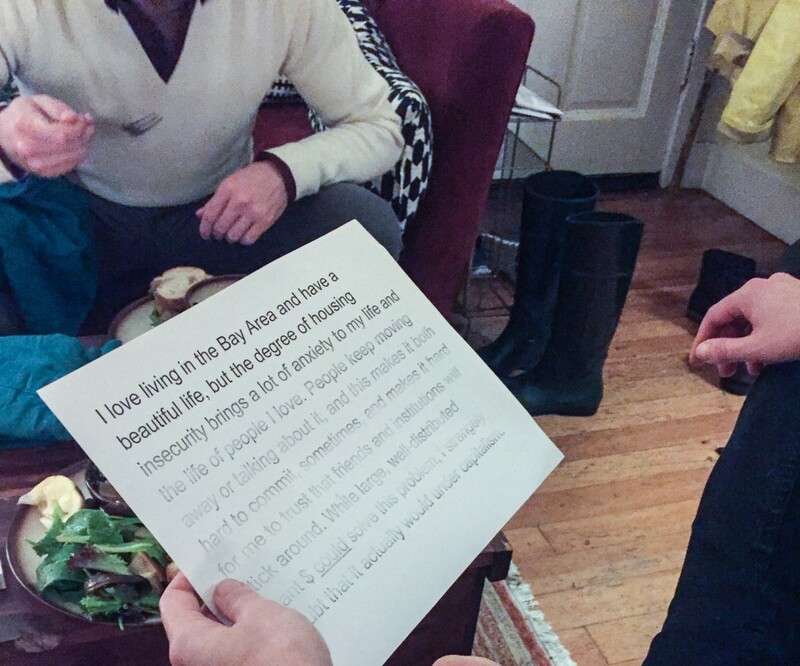 Dinner party guests bring problems they have that money can’t solve, and leave with rituals for these problems, in addition to an evening engaged with what it means to live and make in a home adjacent to capitalism. To encourage emerging models and mindsets. The initiators present rituals that in many cases appear as workarounds -- but workarounds that emphasise agency and ask the agent to think bigger than they may have already, to image the problem/block as an opportunity for emergence into a new way of thinking. Through the somatic, magical, and instructional nature of our rituals, we encourage participants toward their own creativity -- an encouragement they can apply broadly in their work toward empowerment, relevancy and diversity of arts institutions. 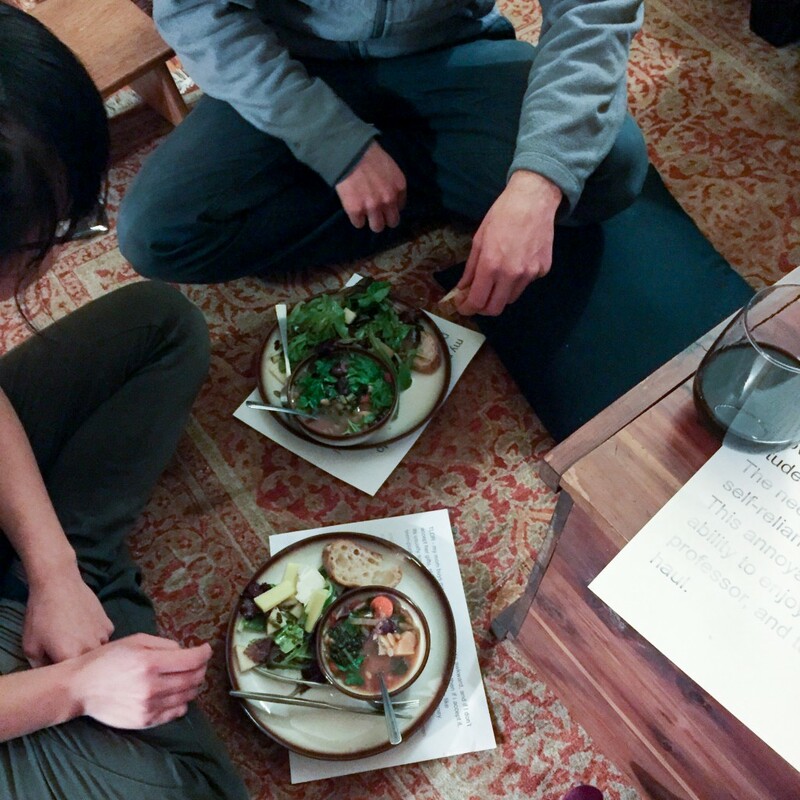 The project empowers individuals within a proactive network: individuals do not receive rituals for their blocks alone, but within the framework of a home-based, community-building dinner party. Rather than turning to some kind of outside expert or formal training, the ritual dinners harness imagination and creativity within the well-known form of a dinner party to demonstrate to arts and culture workers that they already have within them the capacities they need to sustain innovative, joyful and playful lives. Any person with a problem than money cannot solve.